Handmade paper vessel, dyed with pigments and layered with chalk pastels. 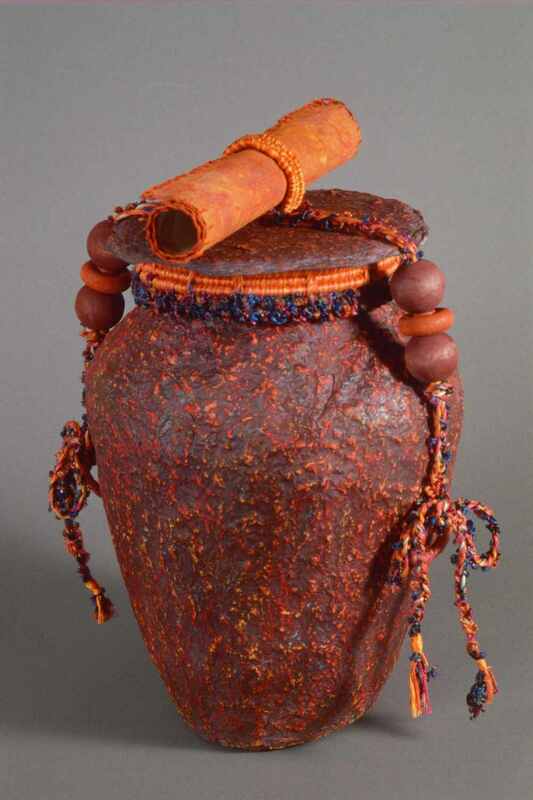 The lid has a woven rim of sea grass and thread with amber beads sewn onto the surface. The braid used to tie the lid to the base is hand made. The beads on the braid are wooden. The handmade paper scroll on top of the lid may be used to write a thought, a prayer, a memory , a name or a poem. Copyright 2000-2005 - Raphaela McCormack . All contents are copyrighted. All rights reserved.